Class and elegance are expressed throughout this Lovely 3/2/2 home. From your first step into the foyer, note the open floor plan and tile throughout. The expansive living room with vaulted ceilings is open to the Kitchen which offers french doors to the screened back porch with plenty of room for entertaining family and friends. Large private backyard with room for a pool, over looking a nice canal. 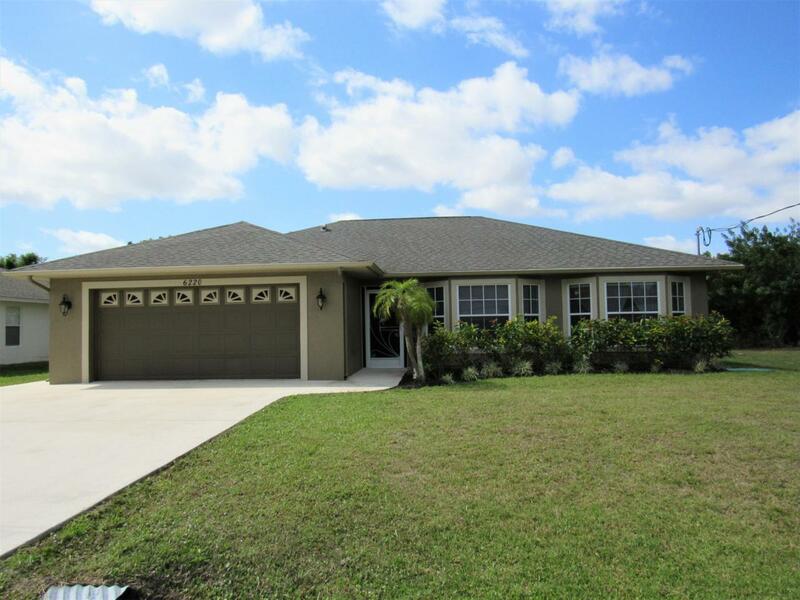 Located in the desirable Torino area, close I-95 & shopping, St Lucie West, restaurants, close to beaches. Don't miss this opportunity to live in this immaculate home. Call today for your private showing.Sizes and Measurements are approximate, Buyer to verify all information please.